Are there any values of b that do not produce an exponential function? What values of b cause exponential growth? Decay? 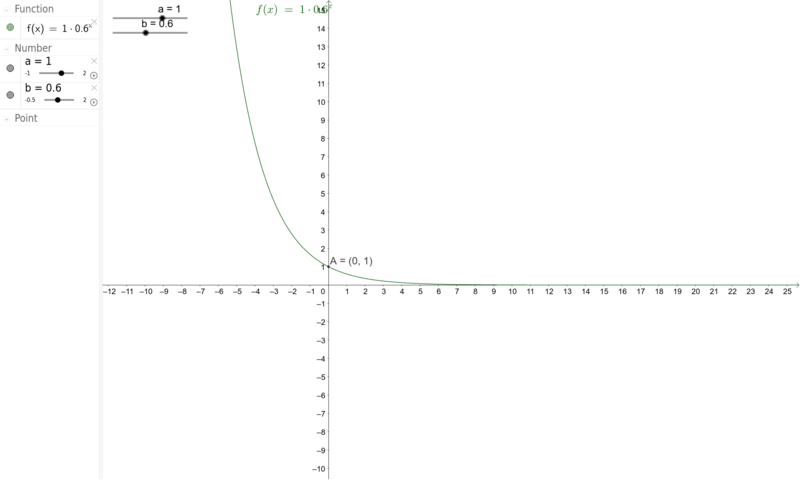 Are there any values of a that do not produce an exponential function? What does the value of a indicate on the graph? What lengths make a triangle?